The Indian team lost the last Test match against Australia by 146 runs in Perth as the victors chased the target of 287 runs. Now, the Indian team reached Melbourne and has started preparing for the upcoming match which is scheduled to happen on the Boxing Day. 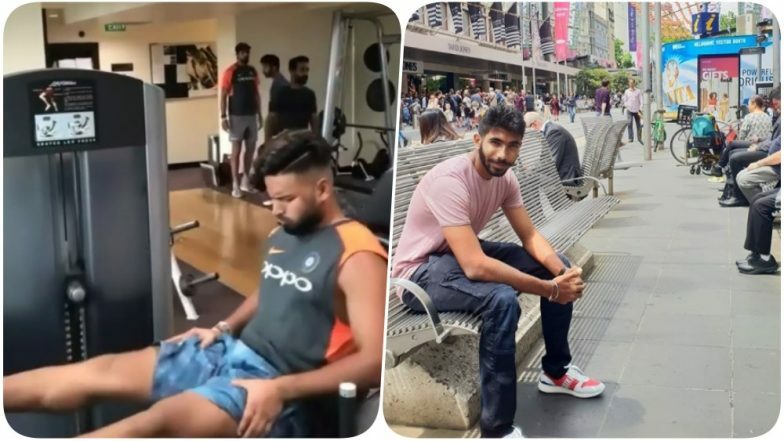 While most of the Australian players are on a Christmas break, Rishabh Pant, Ishant Sharma, Ajinkya Rahne, and a few members of the team hit the gym. After finishing his workout, Jasprit Bumrah went for a stroll on the streets of Melbourne. Marcus Harris Sledges Rishabh Pant During Day 5 of IND vs AUS; Says, ‘If You Get Out You Can Go Out and Disco Tonight’ (Watch Video). Jasprit Bumrah let his hair down and posed for the camera on the streets of Melbourne. Watch team India arriving Melbourne. Relax World, Amy Schumer Hasn't Given Birth And Is Still Heavily Pregnant And Puking!